Nothing brings people together quite like food and flames. Now Escea has found the perfect way to combine them both with the EP1350 Outdoor Wood Fire Table. Inspired by the classic campfire, the Wood Fire Table is made for gathering, sharing, and marshmallow toasting. It’s a new twist on an old classic. Only better, because Escea’s Vortex Firecore technology gives you the warmth, ambience and flames of a campfire, without all the smoke. Whether you’re cooking for two, feeding the whole family, or hosting a tribe, the Fire Table offers a 360° social cooking experience that gets everyone involved. 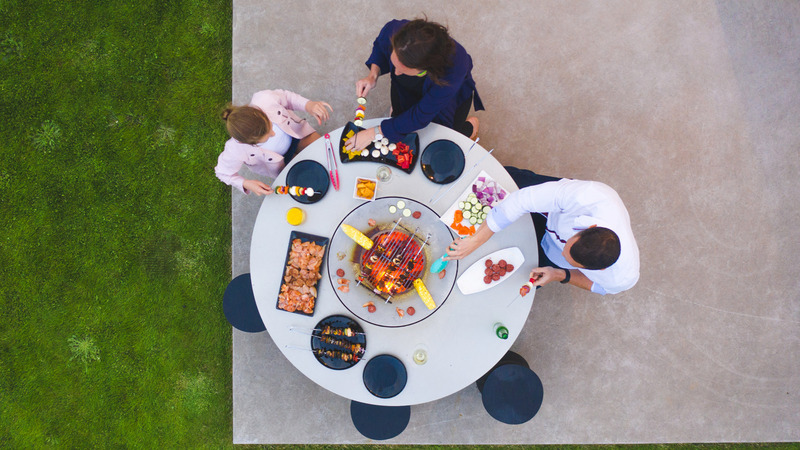 With three cooking modes to choose from – an inner stainless steel ring for consistent medium heat, a removable kebab holder, and a cooking grill for the perfect grilled tapas – each person can cook their food just the way they like it. No longer is the designated cook relegated to the corner of the deck, now they can be the life of the party. Our team of engineers developed the Vortex Firecore technology which accelerates the air intake that fuels the fire. The more oxygen the fire has, the cleaner it will burn. Giving you bigger flames, with less smoke to avoid, and more time enjoying what really matters. Keep your food warm and your drinks cool with the Fire Table's cool-touch feature. 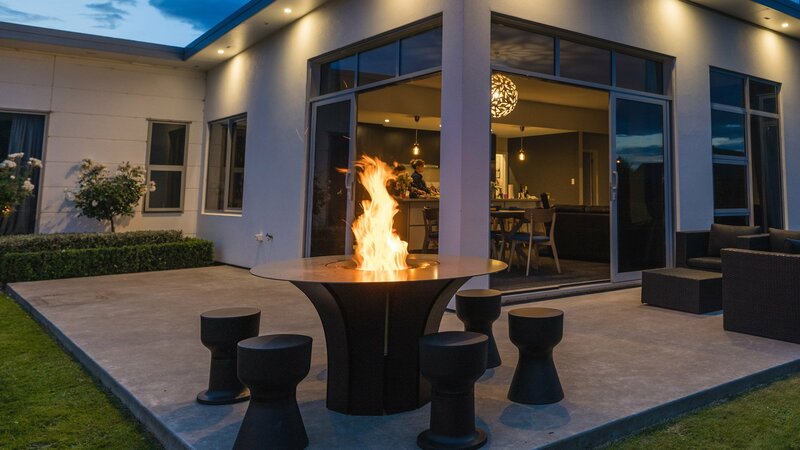 When the fire is going, the outer ring is designed to be cool enough to rest your food, drinks or your elbows, making it safe for the whole family. Manuals and documents for EP1350 fireplaces.